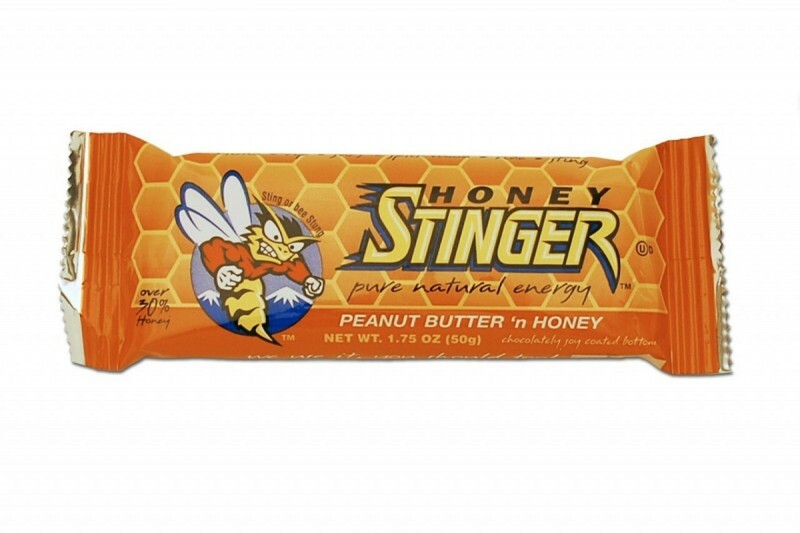 Not your ordinary energy bar! 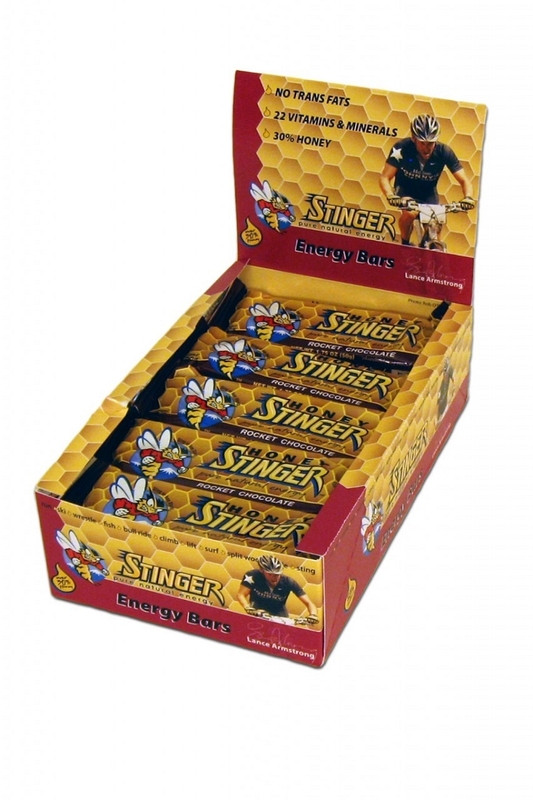 All Honey Stinger energy bars are made with over 30% honey, 20% of the daily recommended allowance of protein, 22 vitamins and minerals, calcium, antioxidants, natural flavors and all the benefits of our energy gel. All flavors are 180-190 calories per bar with 5 grams of fat or less. All flavors, except Apple Cinnamon, have a soy-coated bottom. Available in Rocket Chocolate, Peanut Butter n’ Honey, Apple Cinnamon, Berry Banana Buzz and Blueberry.